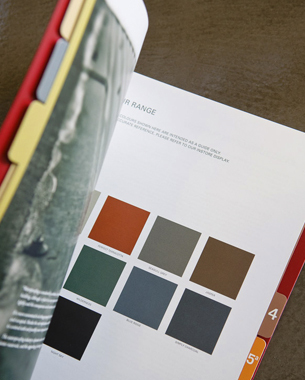 A detailed product manual was designed to showcase the diverse range of products available under the Midas brand. For easy navigation, the range was divided into colour-coded categories eg. waterproofing etc. in green. 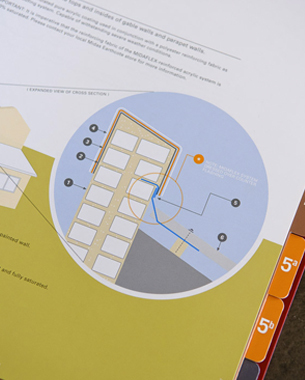 A clean ypographic grid was applied in combination with graphic illustrations, and paint colour swatches. Mood photography of applicators were included to soften the overall look & feel.